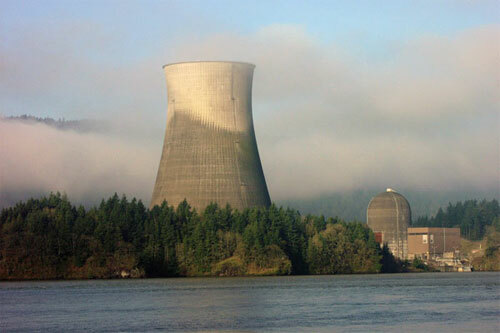 The Trojan Nuclear Power Plant in Rainier, Oregon is scheduled to be demolished next Sunday, May 21st. Here are more details of the implosion as well as demolition updates. The 499-foot cooling tower is scheduled to be imploded on May 21, 2006. PGE has chosen a contractor, Controlled Demolition Inc. (CDI), which has safely imploded a number of large structures, including the Kingdome in Seattle. Every demolition bid proposal PGE received recommended implosion of the tower as the safest demolition method with the least community and environmental impact. The Trojan cooling tower is made of concrete and steel and contains no hazardous materials. 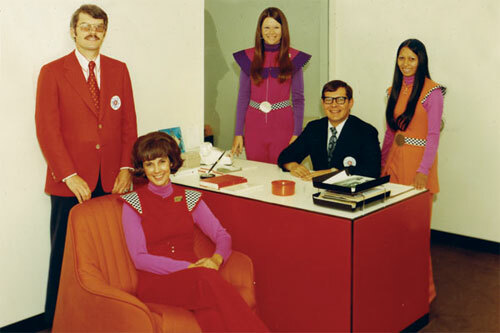 It never contained any radioactive material, and all asbestos has been removed. 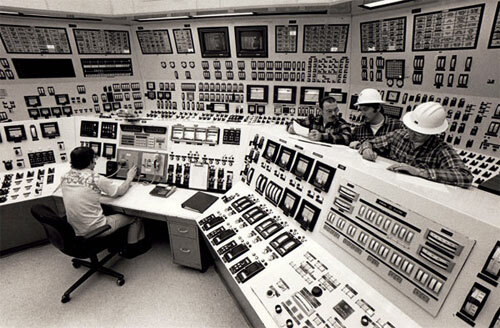 Rumor has it that the Portland Cacophony Society is planning a post-nuclear picnic the day of the implosion. Come join the fun as your favorite character from The China Syndrome. UPDATE 1: It has been brought to our attention that the Trojan Nuclear Power Plant is the inspiration for the Springfield Nuclear Power Plant that is owned by Charles Montgomery Burns and featured in The Simpsons. Aye carumba! They’re blowing up the power plant. D’oh! UPDATE 2: Here’s some Trojan Nuclear Power Plant demolition coverage from the Washington Post and CBS News. UPDATE 3: There are a bunch of great implosion photos on Flickr.